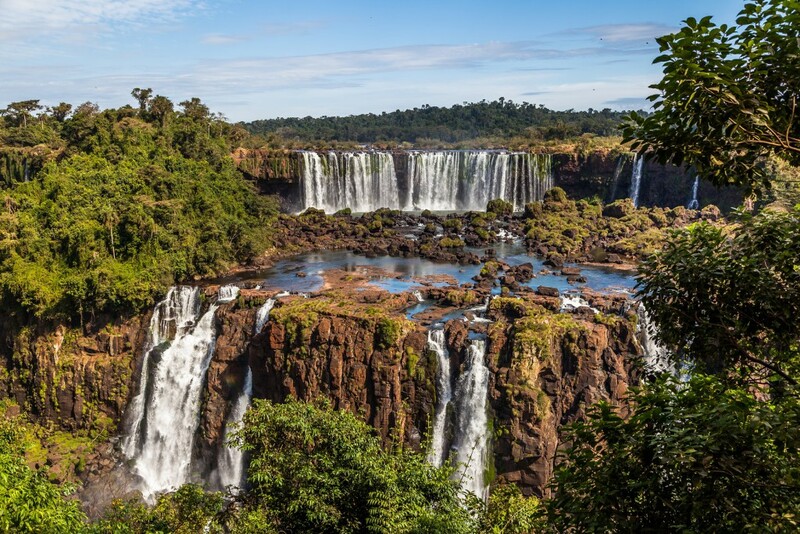 We get asked a lot of questions about Brazil and Argentina’s star attraction, so we’ve answered as many of them as we can, and also included some of our favourite Iguaz Falls tips, to make sure you get the most from your visit! The Falls are located along the Iguazu River, which straddles the border between Argentina and Brazil, heading into Paraquay a little further up as well. The ‘Devil’s throat’, or Garganta del Diablo, is the main section of the falls, and is a giant chasm about 80 meters high, the highest, deepest and most impressive part. 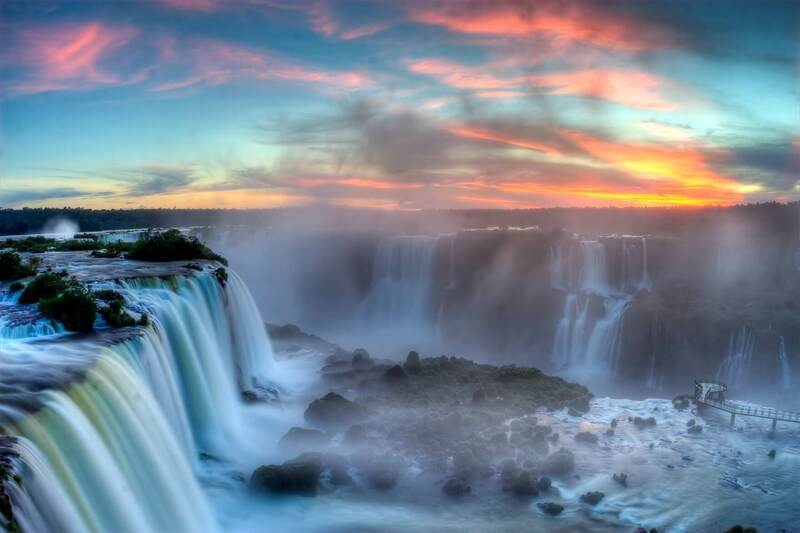 The whole area is split into two national parks, Iguazú in Brazil and Iguaçu in Argentina. The falls are the sixth greatest in the world, in terms of average annual flow, and are a third taller than Niagra Falls, and wider than Victoria Falls. The name comes from the Guarani language and means ‘great water’. There is a local legend that says the falls were created when a God saw his future wife canoeing down the river with her secret lover, and in his rage he cut the river in half to separate them. Can you visit both sides of Iguazu Falls in one day? The short answer is yes, but it will be a long day and you won’t see everything! The best way to do this would be by private tour, so you’re not wasting time taking public transport between the entrances, and to make sure you don’t miss the best bits. The Brazil side can easily be done in a morning if you’re quick, as the main highlights are the walkways out into the middle of the river. The Argentina Falls usually takes a little longer, as the National park is bigger, but if you just want to see the ‘Devil’s throat’ you can do it in an afternoon. However, considering you’ll be flying in especially, we highly recommend at least a couple of night’s here to fully appreciate it! Both sides have their merits, and offer different perspectives of the falls, which is why we always recommend seeing both. Argentina has the biggest portion of the falls, which means there are more trails to explore, and you can get to them all by using the tourist train. It’s here that you can walk right into the middle of the ‘Devil’s throat’, and take a boat ride under the cascading water and to Isla San Martin, so you are much more likely to get wet on the Argentine side! The trails and walkways on the Brazil side are much shorter and don’t get you as close, but you do get fabulous panoramic views which you don’t get on the Argentine side. You can also get quite close to the ‘Devil’s throat’ here, and the photo opportunities are great. Which side of Iguazu Falls should I stay on? As most people only spend 1-3 nights here, it will depend a lot on which airport you will be using. Foz de Iguaçu in Brazil is much bigger than Puerto Iguazú in Argentina, and there are more restaurants and shops to explore. This also means that there are more hotels, and in general they tend to be cheaper and more basic. If you want to stay really close to the falls, you can do so on either side of the border. The Belmond in Brazil and the Sheraton in Argentina are probably the closest, but bear in mind they are both out of town. 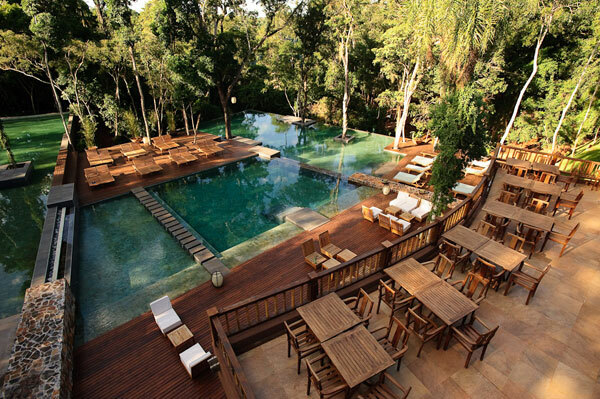 The Loi Suites in Argentina is extremely close to both the Iguazu River and Puerto Iguazú, so you get the best of both worlds. There are two main airports which serve the area, Cataratas del Iguazú, also known as Mayor Carlos Eduardo Krause or IGR, in Argentina, and Foz/Cataratas do Iguaçu, or IGU, in Brazil. Both are very close to the falls, so which one you use will depend more on where you are coming from/going to. IGR is a half an hour drive from the town of Puerto Iguazú, and is served by Aerolíneas and LAN, so it’s the best option for flights around Argentina. IGU is half an hour from the town of Foz do Iguaçu, and is served by Azul, GOL, LAN and TAM, so it’s the best option for flight around Brazil. Can I visit Iguazu Falls and fly to Rio/Buenos Aires in the same day? Yes. The last flight to IGU is at around 18:20 with GOL, which gets you into Rio GIG at about 20:20. There are also direct flights from Rio GIG to IGU with GOL and TAM which depart in the morning and land around lunchtime, so you can visit the Brazil side of the falls that same afternoon. Similarly, the last flights from IGR are with Aerolíneas at around 21/22:00, which get you into Buenos Aires for midnight. The earliest flights to IGR leave Buenos Aires at around 6:00, arriving in IGR at 07:30. 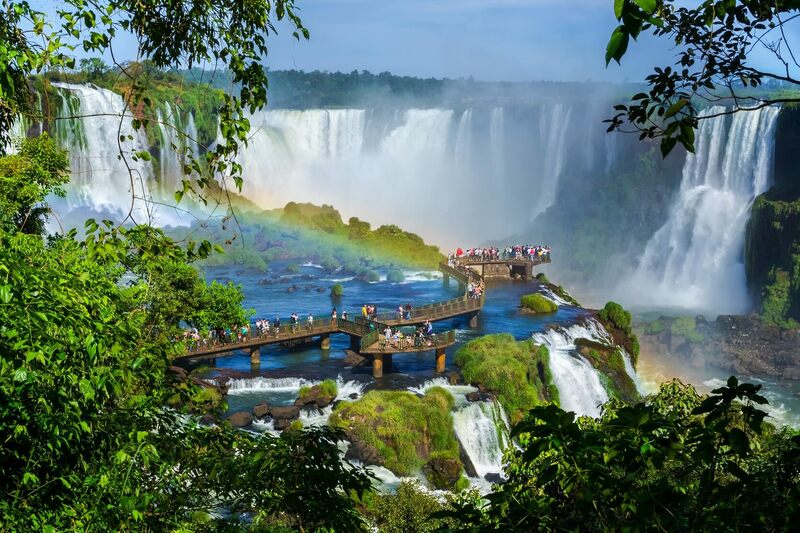 A top Iguazu Falls tip if you plan to visit the falls and catch a flight in the same day, is booking a private tour, so the guide can keep an eye on the time and look for traffic alerts, to make sure you don’t miss your flight. 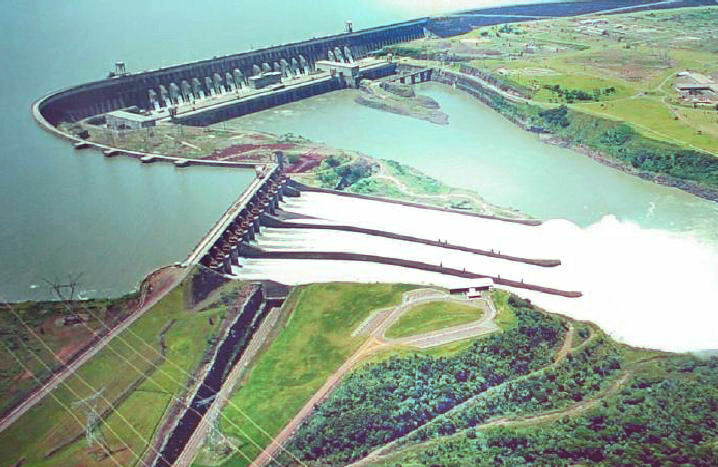 Itaipu Dam is a hydroelectric dam on the border between Brazil and Paraguay, and is the largest and one of the most impressive power plants in the world. It supplies most of Paraguay’s electricity, and much of Brazils as well. A day trip to Itaipu is best done with a guide who can educate you on the mechanical engineering behind this colossal wonder of the modern world. Crossing the border into Paraguay is also a fun day trip, especially if you visit the ‘Supermarket of South America’, Cuidad del Este. 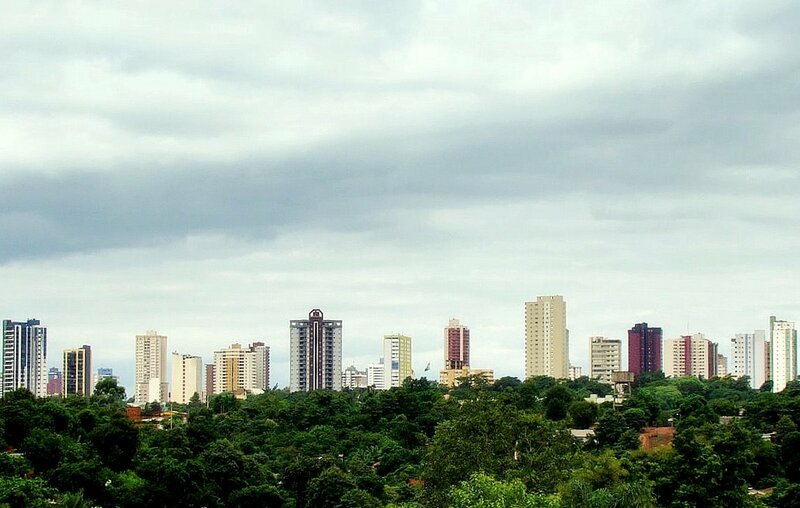 The city is the second largest in Paraguay, and is famed for it’s black-market, making it a great place for shopaholics! For those who prefer the peace and quiet of nature to the hustle and bustle of a big city, the National Parks on both sides of the border offer great wildlife-spotting opportunities, and there are specialist tours and trails which cater for bird watchers and animal enthusiasts. 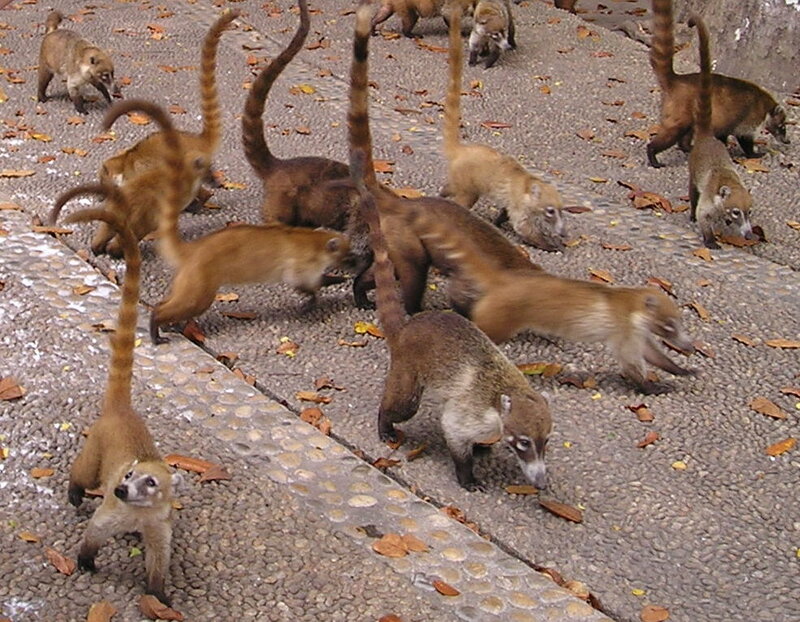 Common species include: the friendly coati, a member of the racoon family; brown capuchin and howler monkeys; tapirs and wild pigs; and a variety of toucan and hummingbird species. 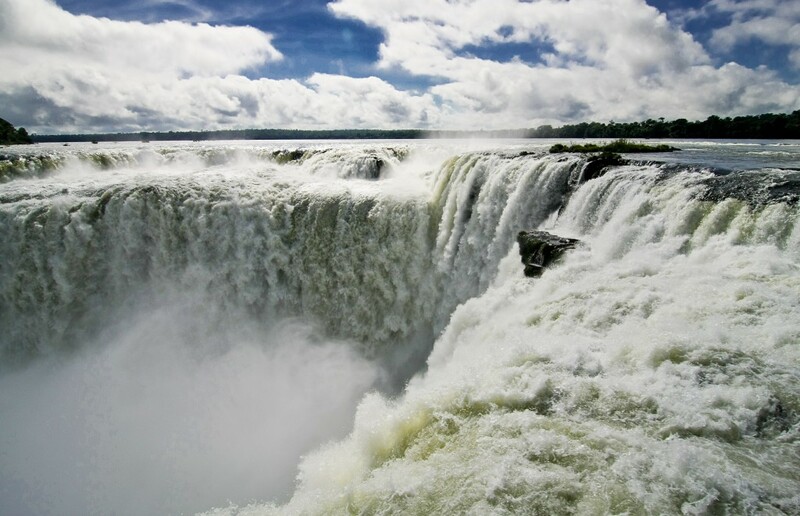 Luckily, it’s position near the equator means Iguazu Falls has a tropical climate, and is accessible year-round. During the wet season, December-February, the water levels are at their highest, making the falls noisier, stronger, and generally more impressive. However, this is also the summer season, so the temperature is incredibly hot and humid, over 30 degrees celsius most days, and you can expect rain and thunderstorms, which close off some of the trails. May-July is the dry season, so you are more likely to have clear, blue skies, but the water levels will be lower so the falls might not be as impressive. The temperature will still be in the high teens, low twenties, and the humidity will be much more bearable. Our top Iguazu Falls tip is to visit in the shoulder-seasons, to avoid the worst of the crowds and still get good weather. Because of the many flight routes to Iguazu, a few days at the falls can easily be incorporated into a longer trip in South America. 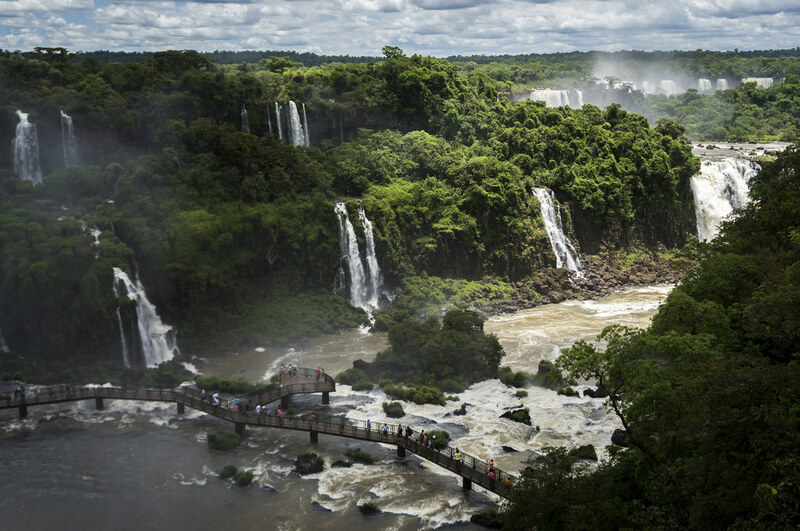 To see our most popular itineraries in Brazil and Argentina, and to read more Iguazu Falls tips visit our holidays section! 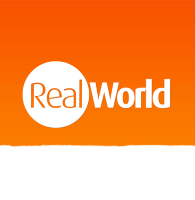 To find out more about international flight routes, see our dedicated blog post!